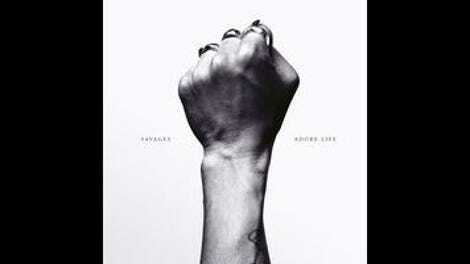 When London post-punk band Savages first received wide notice, it was with the release of anthem “She Will” ahead of 2013 debut album Silence Yourself. At the heart of the track is a use of repetition to center the four-piece’s power, with each line of the verse expanding on the song’s title, while the hook is the intensifying reiteration of those same two words. 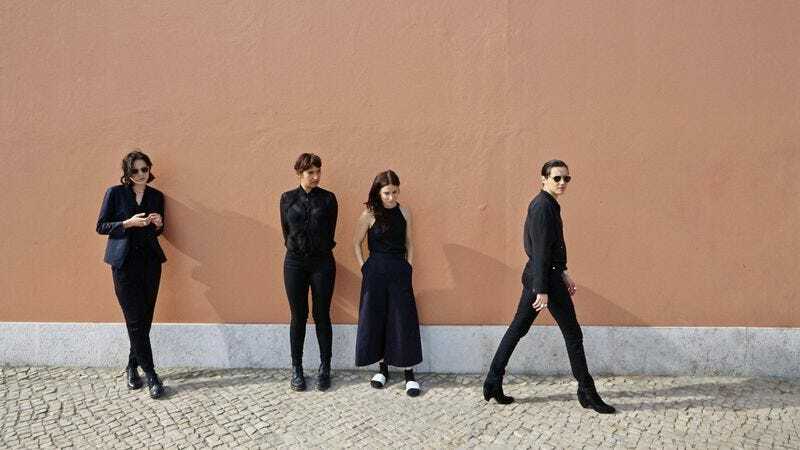 Now, three years later, Savages have unveiled the follow-up to their much-hyped debut, with repetition showing up often on Adore Life, sometimes working to its intended end result, but mostly landing as formulaic and uninspired. In the band’s defense, it is obvious that Savages know their strengths. Whether its inspiration is theatric metal as in album opener “The Answer” or their wheelhouse of toolshed post-punk on “T.I.W.Y.G.,” the instrumental interplay between guitarist Gemma Thompson and bassist Ayse Hassan galvanize the project, with both members engaged in an elegant tug of war over the course of the collection’s 10 offerings. And as a vocalist, Jehnny Beth often masks a lack of melodic depth with intonation and personality. On “Sad Person,” her voice bends and cracks purposefully, imbuing personality into her music in a similar way to a David Byrne or Black Francis. It makes her singing more about performance than about craftsmanship, even though she also nails her technically impressive operatic moments. It would all just shine more if the songs were stronger at their core. Savages wisely knows that they need more out of their rockers than these sharp details, but forcing them to the same conclusion gets the band into trouble. The record’s second track, “Evil,” telegraphs its conclusion once the titular word starts getting the repetitive treatment. The frenzy that ensues isn’t a mammoth build and release of tension that the group wants it to be, but something far more predictable. When this tactic returns on “Slowing Down The World,” the on-the-nose tempo shift can’t inject life into the recipe. And it’s almost as if Beth is forming a psychic connection with the listener when same structure appears on the very next song, with her repeating “I need something new” in what could be a moment of unwitting self-reference. It’s a shame that so much of the Savages album feels like a songwriting rut, because the record’s lone moment of transcendence, “Adore,” also stamps out a repeating coda at its end. The difference, though, is the number’s ability to turn completely on its own axis. The hush it finds before Beth begins her cycle of declarations is intimate and eerie, and when when the band starts layering noise on top of it, with Beth announcing “I adore life,” it’s exhilarating to hear how far Savages are willing take an idea, and how they possess the ability to exceed expectations. It’s just a shame that the same moment underscores where the rest of the release often falls short.